A great chance to relax and enjoy some entertainment and refreshment after a hard day at the show, the inaugural ED&I Expo industry networking dinner will take place on the evening of the September 6 and promises to be a night not to be missed. Along with a sumptuous three course dinner, guests can expect to be wowed by some world-class entertainment form the worlds of comedy and music. Chris Turner’s fresh-faced teen appearance, hides a bright mind and razor-sharp wit. 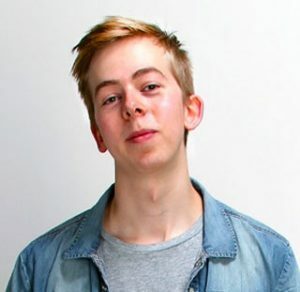 Added to Chris’s sharply written gags and assured stage presence and blisteringly quick improvised raps (yes folks, raps) have established him as one of the best up-and-coming comics on the circuit. His keen wit and intelligent wordplay have seen him rack up over a million views on YouTube; appear live on BBC Radio 2 and perform sold-out runs at the Edinburgh Festival Fringe, where in 2012 and 2015 he was shortlisted for Best Joke of the Fringe. Chris regularly performs in comedy clubs the length and breadth of the country, as well as internationally. Currently dividing his time between LA and the UK, Chris made it to the live finals of America’s Got Talent in 2016. On the music front the show has Old Dirty Brasstards lined up, fresh from a triumphant appearance at Glastonbury 2017. Since forming in 2012, Old Dirty Brasstards has gained an enviable reputation for its bold and innovative approach, on a mission to introduce brass music to brand new audiences by blasting out reinventing numbers you would not expect a brass band to take on. 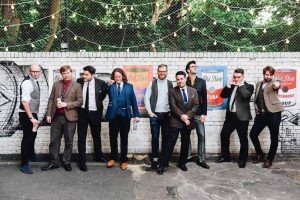 The tweed-clad 10-piece brass and drum collective comprises of some of London’s leading freelance musicians, playing an eclectic fusion of pop, rock, hip hop, R&B, funk and soul covers.